IBM released the original IBM PC on August 12, 1981 -30 years ago. At the time, the Apple II had madesignificant inroads in the education and business markets, whileseveral competitors - including Atari, Commodore, and Radio Shack -were fighting over market share in the home computer market. The Macintosh arrived as a rival platform 3-1/2 years later, andLinux has developed into a solid alternative to Windows over the past20 years, but neither platform has made much of a dent in Microsoft'sdominance. Today we look at the legacy of the IBM PC - and the World of Windowsthat grew from it. Our writers share the impact IBM had on the industryand how it has impacted them. Austin Leeds (Apple Everywhere):I've basically been x86 and PowerPC compatibleall my life. From an early age, I've been using both, but nowadays Ilean more toward ARM, for obvious reasons. When I use x86, I preferLinux or Mac. My irritation with Windows goes beyond the average fanboy- I take issue with Microsoft over the NSA key in Windows. 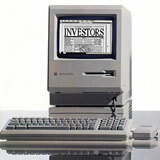 The IBM PC was a wakeup call for the rest of the market - an iPad ofthe 80s, if you will. It really inaugurated the desktop personalcomputer era and helped standardize the size and shape of desktops foryears to come. Only with the introduction of the iPad have we really seen the legacy of theIBM PC truly start to fade. Dan Bashur (Apple, Tech, and Gaming):We owe a lot to the IBM PC. "Big Blue" developeda machine that was affordable enough for small businesses and powerfulenough for large enterprises. If you want a good history lesson on thebirth of DOS and the x86 platform, visit the History of Computerswebsite beginning with Historyof the IBM PC. Why is this relevant to Apple, myself, and any other Mac fanatics?Without IBM pushing the personal computer industry into the mainstream,along with developments from Intel (x86) and Microsoft (DOS andWindows), the timing of the first Macintosh and thedevelopment of Mac OS may have been quite different. I fully believethat the GUI interface of Mac OS was a thundering response todifferentiate Apple's offerings from the command line interface of DOS.This response - and Apple's track record of keeping innovations in bothhardware and software engineering/design one step ahead of traditionalWintel boxes - has made Apple what it is today. As a sidebar, perhaps the most bitter irony throughout the historyof Apple, IBM, and Intel's involvement with the manufacturing ofpersonal computers (namely Macs) was the deal struck between Apple andIntel in late 2005, turning former rivals into partners and eliminatingthe PowerPC platform (which IBM was involved with). I'm still secretlyhoping for Apple to go back to IBM and the PowerPC platform someday andrevive the PowerBook and Power Macintosh names (including revivingcompatibility for all legacy applications), but we're more likely tosee iOS and OS X merge together with cloud computing (iCloud) and seethe elimination of traditional computers entirely instead. It's amazinghow far things have changed in three decades. "Welcome, IBM. Seriously. Welcome to the most excitingand important marketplace since the computer revolution began 35 yearsago. And congratulations on your first personal computer. Putting realcomputer power in the hands of the individual is already improving theway people work, think, learn, communicate, and spend their leisurehours." The IBM PC was modeled on the Apple II: off-the-shelf components,standard expansion slots, and lots of add-ons, such as graphics cards(Apple built video into the computer, but with the PC you had to buy acard), floppy controllers and drives, serial and parallel cards, etc.The biggest difference was that the PC didn't include an operatingsystem - and IBM gave you three choices. DOS became the standard, buteven IBM didn't know that was going to happen. Apple turned in a different direction with Lisa and Macintosh, using ablack-and-white graphical user interface that displayed differenttypefaces and styles, putting to focus on attractive output, not justwords on a page. Microsoft saw the threat and began to develop Windows,which added a GUI to DOS along with mouse control. It's been playingcatchup ever since. Charles Moore (several columns):I haven't spent a lot of keyboard time onDOS/Windows machines over the years. My limited experience to what usedto be called the "IBM compatible" world has never enticed me to exploreit more thoroughly when I had access to perfectly good Macs as analternative. We did have an ancient 286 no-name IBM PC clone running DOSsomething-or-other at the time I bought my first Mac - a used compactdesktop Plus, from a friend. The difference was striking - and not in theDOS machine's favor. Many years later I had an IBM ThinkPad of about the same vintage asmy Pismo PowerBooks here for a while. It was a solid-feeling, albeitsomewhat crude and clunky, boat-anchor heavy machine with a goodkeyboard, but it was running Windows XP, which I detested. However, the historical significance of the IBM PC can't bediscounted, and arguably today's Macs have bloodlines more in commonwith those early days 286 and 386 PCs than they do with the Macs of twodecades ago. Late '80s and early '90s Macs had SCSI hard drives (if atall), used SCSI as their high-speed interface, used ADB mice andkeyboards, and were powered by Motorola processors. Today, Macs have SATA hard drives (the same as PCs), use USBkeyboards and mice - the same as PCs, albeit with different keyboardmapping, and are powered by Intel x86 processors, as was my prehistoric286, and the same as PCs today. Macs now even do Windows. One of thebiggest hardware distinctions remaining is that the PC community hasbeen quick to embrace the USB 3.0 high-speed interface, while Apple hasnot, opting instead to go with Intel's Light Peak/Thunderbolt protocol.However, even there, the Mac will support third-party USB 3.0 solutionswith appropriate adapters, and it's expected that Thunderbolt willbecome the next industry standard for both Macs and PCs. The imponderable, as yet, is whether the hardware commonality tidewill turn with greater and greater integration of the Mac and iOSdevices, for example the potential of an ARM A6 powered MacBook Air(and eventually other Mac models as well). The irony there for me isthat it may make Windows PCs finally look enticing, provided Microsoftcan resist jumping into the touchscreen/multitouch/dumbed-down userinterface mania with both feet the way Apple appears to be doing.